While the Social and Learning Approaches both look at the importance of nurture (upbringing), the Biological Approach looks at nature, in particular the role of brain structure, body chemistry and genes. The Biological Approach has been around for a long time. It's a matter of common sense that human behaviour is affected by biology - we feel different and act differently when we are fatigued, under the influence of a drug or suffering from a head injury. Since the time of Aristotle, philosophers have tried to identify "the seat of reason" in different parts of the brain. But the technology was never around to do this effectively. One successful technique that did not depend on the use of special technology was the twin study and the adoption study. These look at the effects of nature and nurture by comparing the behaviour of brothers and sisters who have been raised together and apart. Since the 1990s, new brain scanning techniques have made it possible for psychologists to study brain activity as it occurs. Advances in genetic science in the 1990s revolutionised our understanding of the importance of nature and nurture and introduced evolutionary psychology. 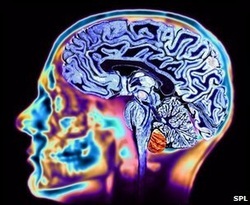 In the 21st century, Biological Psychology has become the leading perspective within Psychology. found to be caused by nature not nurture? Classic study: Raine et al. (1997) Brain abnormalities in murderers indicated by positron emission tomography. Contemporary study: Brendgen et al. (2005) Examining genetic and environmental effects on social aggression: A study of 6-year-old twins.